Sold before print. Renowned architect Clarence Johnston designed this home for Oliver T. Crosby in 1900. Situated on four city lots (o.62 acres) in the heart of the Summit Hill neighborhood, this prestigious solid stone estate is a piece of history. The current owners have done major restoration work including the slate roof, kitchen and bath remodels, stripping most of the woodwork, adding central air, and much more. Directions: From Grand Avenue, South on Avon 1 block to 804 Lincoln. Home on SW corner. I was searching for a Property and found this listing (MLS #5024216). I would like to schedule a showing for 804 Lincoln Avenue Saint Paul, MN 55105. Thank you! I was searching for a Property and found this listing (MLS #5024216). Please send me more information regarding 804 Lincoln Avenue Saint Paul, MN 55105. Thank you! 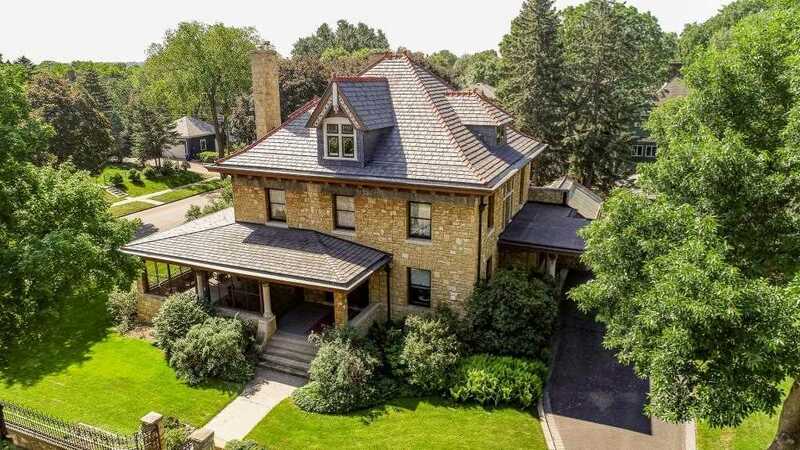 MLS # 5024216: This property at 804 Lincoln Avenue, Saint Paul, MN 55105 is located in the Summit Hill subdivision and is listed for $1,550,000. MLS # 5024216 has been on the market for 159 days.